I’ve learned when creating anything be it a personal statement or art and graphics for a project, as the creator I shouldn’t fall in love with my first attempt. Once others see the creation whose opinion I need, they will strip it bare removing my artistic pretensions and present my creation naked and exposed to the faults I was too blissfully ignorant to recognize. Fortunately, the opinions, inevitable thrust the creation to become superior and thus, a golden medium of aesthetics and function is achieved. In that spirit, this week, I’m using the opinions of my colleagues at the App Lab to create a higher-quality Second Cut Health Promise explainer video. Pablo Picasso said “Good artists copy, great artists steal.” In this post, I boldly promulgate the rise of my pirate flag in plunder of good ideas from superb video scribes; akin to every self-respecting desperado, I want bountiful booty to enrich my future endeavors. Below are my first five favorite video scribes ripe with ideas, each one employing different elements making them singularly unique and compelling. How to Give an Awesome (PowerPoint) Presentation: Simple stick figure animation on how to give a great presentation. A meta explain of presentations whilst being a presentation. Where Good Ideas Come From: A clever animation playing on the “Light Bulb” idea moment that eventually subtly morphs from a light bulb into a book. This video is also an elegantly disguised promotion for a book. Stop Motion | Whiteboard Animation: A good use of voice over and music to evoke a mood. Ydraw Video Scribing: A master class video on how simple animation can have detail the dazzles the eye. Promogab Video Scribe: In the same vein as Ydraw, yet distinct with its own character. In a later post I’ll reveal my next five favorite video scribe and animation videos. Years ago, I learned an indelible idea of “Planners and Searchers” from William Easterly’s book, “The White Man’s Burden: Why the West’s Efforts to Aid the Rest Have Done So Much Ill and So Little Good.” A Planner thinks he already knows the answers that will solve a problem. A Searcher admits he doesn’t know the answers in advance and that the problem is a complicated mélange of issues. A Searcher hopes to find answers to individual problems only by trial and error experimentation. A Planner as an outsider imposes solutions whereas a Searcher believes only insiders have the knowledge to find solutions and that solutions should be organic. In my first week as an intern at Mount Sinai’s App Lab: Gastroenterology, I searched for journal articles on the issues people with IBD cope with in their daily lives; wondering if a person with a disease would remember or care to report to an app that can possibly improve their condition? 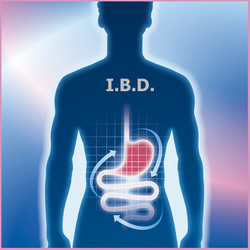 I learned people with IBD wanted and sought ways to learn about and improve their conditions in supportive environments, in spite of their complex commingling of stresses of experiencing their bodies as unfamiliar, a life devoid of spontaneity and difficulty maintaining nurturing relationships ­–perhaps the apps I will help develop will provide a modicum of a normal life.